Hard to believe the year is almost over and 2014 is upon us. I started blogging regularly in June, although my first real reviews went up in March. Since that time I've made new friends and discovered books I otherwise never would have read, or even known about. That's an amazing feeling. I'm grateful to everyone who comes by and leaves a comment, and I hope my readers discover a book here occasionally that is new or fun or takes them on an epic journey. That's the point of this blog, after all. To share a good book. Here are my top 10 faves of 2013 in no particular order. The link will take you to my review, and I've included a link to Goodreads as well. 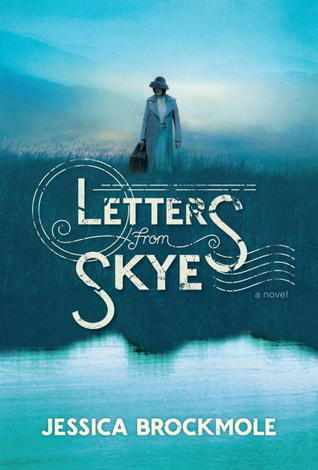 Letters from Skye by Jessica Brockmole is one of the best books I've read this year. It's got humor, drama and a great love story, and I was totally on the edge of my seat by the end, waiting to see what would happen to these characters. Can't recommend this highly enough. It's also told entirely in letters, and it worked for this story. See my interview with Jessica Brockmole here. Letters from Skye at Goodreads. 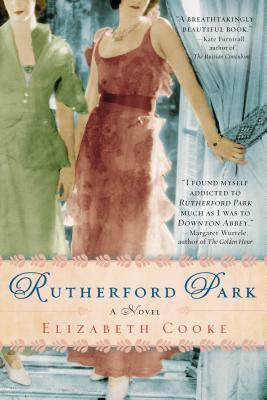 Rutherford Park by Elizabeth Cooke is outstanding, probably in my top three of the year. I read a lot of books this year set in country houses but this one was by far the best. It has a real Downton Abbey vibe to it, but it's not just a DA knock- off. The author states on her website that the idea for the book had been with her for twenty years and was inspired by her grandfathers' service in a great house. She really captures the feel of a great house, and family, on the brink of change as World War I looms on the horizon. There are flawed characters here, human foibles on display and some tragedy and heartbreak as well- I was just really sucked in by this book and I understand a sequel is due in 2014. That will be one of my top draws for sure. 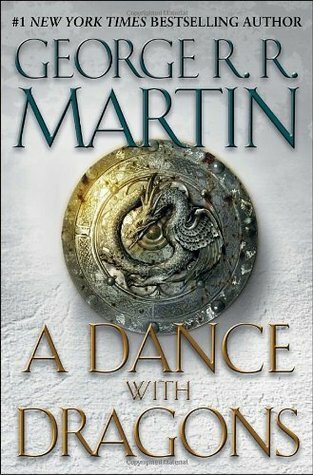 A Dance with Dragons by George RR Martin (spoilery review). To say I'm a big fan of A Song of Ice and Fire would be an understatement, and after a looong wait George RR Martin brought Jon, Tyrion and the rest of the cast back for another go- around. I really liked this book- it's big, sprawling, and truly epic. And you never really know what's going to happen. This is one of my favorite of the series, even though I think he is going a little overboard on the subplots and the story is just too big, but we see more of the world than ever and it is never less than compelling. Who knows if this series ever gets finished, but I am enjoying the ride. 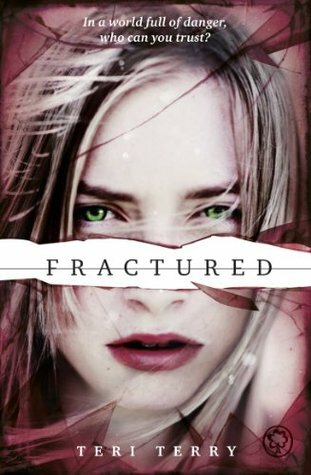 Fractured by Teri Terry is the sequel to Slated and is a thrill ride. We learn a lot more in this one about the circumstances surrounding Kyla's mindwipe, and things get very tense and dangerous for Kyla as she truly does not know who she can trust. This series totally rocks and Fractured is even better than Slated. 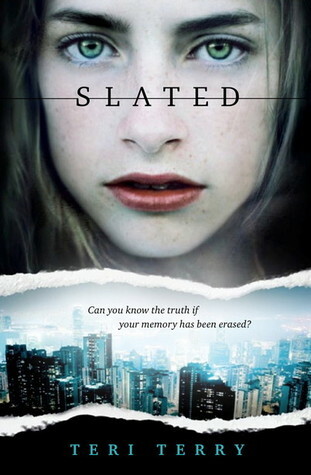 Slated by Teri Terry grabbed me from the very beginning, as Kyla has been mindwiped and is being introduced to her new family- a family she has never met before. She soon learns there are very few, if any people, she can truly trust including the members of her own family! I loved this book and grabbed the sequel as soon as it came out, and will be chomping at the bit for book 3 in 2014. 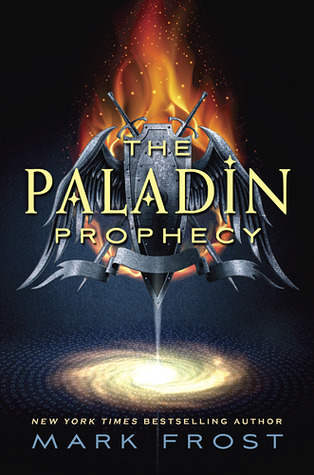 The Paladin Prophecy by Mark Frost. Another one of my favorites this year. This one is a YA about a guy (hey, a guy!) who is on the run and finds himself at an exclusive academy where many of the other students have "gifts" as well. This is longer than the average YA but I thought it was fantastic, mixing mythology and action and weird elements too. I didn't see this on very many blogs so it may have been overlooked by many, but the characters are great and if you love YA paranormal, you should give this a shot. 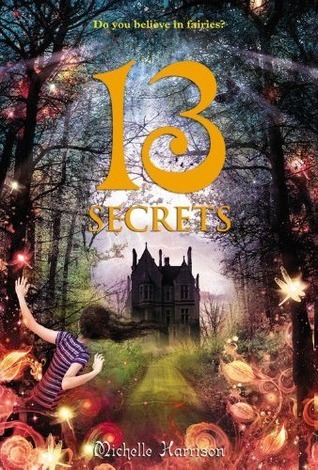 13 Secrets by Michelle Harrison is the third of the 13 series and I loved this book. This series seems to skew a little younger on the YA side but they are surprisingly dark so I think they're a great fit for older readers. Tanya and Rowan are reunited at Elvesden Manor after the events of the first two books and they must discover who is killing those who can see the fairies. The conclusion of the book, with everyone holed up inside the manor under attack by fairy creatures, is awesome. A great series all the way around. 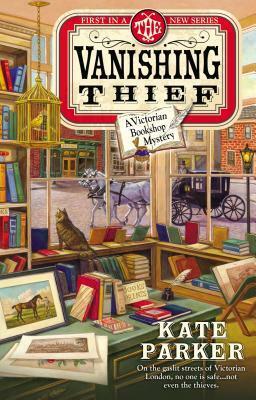 The Vanishing Thief by Kate Parker was a surprise, and a good one. I expected it to be a good cozy, but it was one of my favorite books of the year actually. Georgia Fenchurch is an antiquarian bookseller in Victorian London, and when she investigates the disappearance of a notorious thief she runs afoul of a duke who has his own reasons for wanting her investigation to stop. This has good period detail and a great story, and I will definetly be picking up the next installment of this series. So have you read any of these? If so, what did you think? I'd love to hear your thoughts in the comments. Sunday Post #25/ It's Monday. What Are You Reading? It's Monday! What Are You Reading is hosted by Sheila at Book Journey. Sunday Post #24/ It's Monday. What Are You Reading? Well I'm writing this on Saturday and yes, still have shopping to do! I kind of don't mind though, as I like the hustle and bustle of being out. Am I crazy? Probably! I probably won't be blogging much next week but I do hope to check in a bit and maybe post a few things as time allows. I hope everyone has a warm and relaxing holiday, with everything that makes the day special for you. This book is a trip! I've seen a slew of reviews popping up for it, and they're right- it's great. The protagonist is not exactly likeable, but he's kinda funny in a slacker, totally self- centered way. He of course gets in WAY over his head when he accepts a game from a strange cell phone. Just say no to strange phones, people! 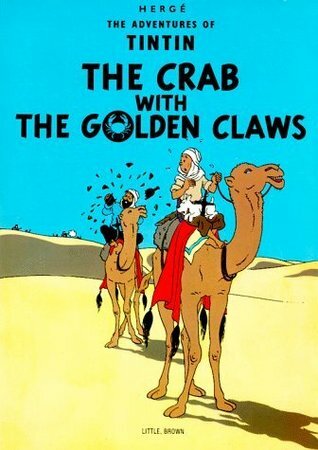 The Crab with the Golden Claws is a relatively early entry in the Tintin series. Tintin, our intrepid reporter, gets pulled into an opium smuggling caper and makes the acquaintance of Captain Haddock, the tipsy companion who becomes a mainstay of the series in later volumes. There is the usual amount of slapstick comedy and outrageous coincidences, and the bumbling detectives Thomson and Thompson make an appearance as well, complicating things as usual. Tintin runs into the smuggling ring quite by accident- he happens to come across a label from a crab tin that his dog Snowy finds in the trash. When a similar label turns up in the belongings of a man found dead at sea, Tintin makes a connection. His curiosity soon earns him the ire of the smugglers, and he finds himself imprisoned on a freighter. Escaping with Haddock, they soon find themselves adrift in a lifeboat, stranded in the Sahara desert and matching wits with smugglers in a Moroccan port. The action is fast and furious with lots of narrow escapes. It's breezy fun, but the story is a little less sophisticated than some of the later installments, and even the art seems less polished. Part of the problem could be that I recently read Tintin in Tibet and The Castafiore Emerald- both are later entries in the series and quite good, so this one may have just suffered by comparison. The other issue I have is Captain Haddock. This is his first appearance, and while he is portrayed in later volumes as a lovable oaf, here he was just downright unlikeable. He’s always been known for his fondness for drink, but here is a drunkard and a buffoon. He even attacks Tintin on several occasions! Not the most reliable ally. Still, this is worth a read if you like the Tintin series, or just want a graphic novel that is suitable for both adults and children. I would not recommend this as the place to start though. While these can all be read as standalones, some are better entry points than others, and I think this one is of average quality in the series as a whole. Sunday Post #23/ It's Monday. What Are You Reading? The snow continues! The roads are finally better though, for about three days they were terrible. Welcome to winter! How is everyone's shopping coming, and more importantly are you enjoying the holiday season? Thursday Quotables is a meme hosted by Lisa at Bookshelf Fantasies. 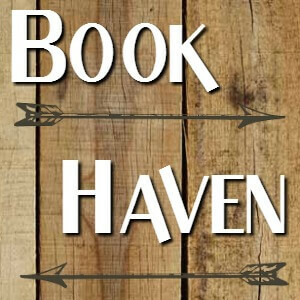 This is the place for a great line or quote from a book, whatever you want to share. For more details head on over to Lisa's blog and linky up, and join the fun! The OASIS is the setting of all my happiest childhood memories. When my mom didn't have to work, we would log in at the same time and play games or go on interactive storybook adventures together. She used to have to force me to log out every night, because I never wanted to return to the real world. Because the real world sucked. Here we're learning about Wade's early life, and how the OASIS ( a virtual reality universe) has taken over the world, to the point where millions of people spend all their time there, go to school there, the whole nine yards. The OASIS is truly a fascinating place, where you can access any fictional world. Want to visit Middle- Earth, Pern, or any other fictional world? They're all there- who wouldn't want to go? I just finished this book and loved it. Check out my review here. 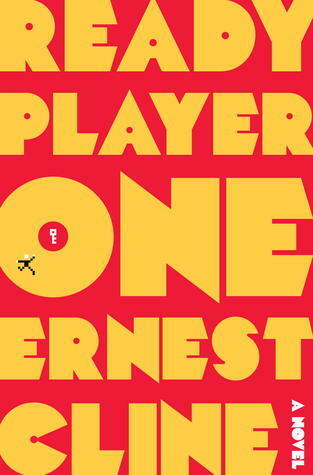 Ready Player One is an awesome thrill ride. Don’t know how else to describe it. 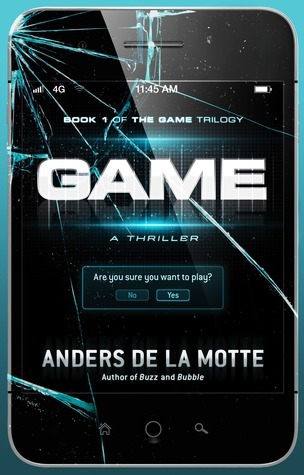 Wade Watts is a gamer and hacker in a dystopian 2044. The world has changed, for the worse, and people all around the world log into the OASIS, a virtual reality wonderland, to escape the drudgery and horror of everyday life. The OASIS has permeated society to the point that Kids even go to school virtually. Wade lives with his aunt in a trailer, in what is basically a slum, but also has a hideout where he spends all his time logged into the OASIS. All his free time is devoted to winning a game, set in motion several years before by the creator of the OASIS- but he is not the only player. All over the world gamers and hackers compete to win the prize- a fortune and control of the OASIS. Clues were left behind by the creator of the OASIS- clues rooted in pop culture references from the 1980’s, his favorite decade. Everyone has an avatar in the OASIS, and this avatar is often more important to the player than their real life persona. 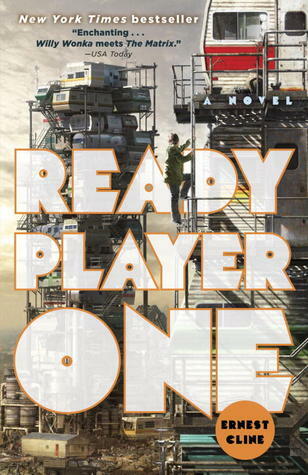 Wade goes by the name Parzival in the OASIS, and when he uncovers a clue to the first puzzle in the game, he may have just taken a step into the big time. The problem is, another gamer makes the connection at the same time. Art3mis (named after the Greek goddess of the hunt) shows up, and the race is on. Art3mis is a well known gamer and blogger, and when Parzifal meets her he finds himself falling for her. Art3mis seems to have feelings for him too, but for her the game (and the prize) come first. This is more than just a gamer competition though- there is also a company called Innovative Online Industries (IOI) that wishes to gain control of the OASIS and monetize it. And they don’t play nice. At stake is the virtual reality simulation that the entire world uses. Wade soon finds himself in danger outside the OASIS as well as in the virtual world. Tragedy strikes and Wade finds his life, both online and off, changed forever. Can he and Art3mis survive the game? This book is just so much fun. The OASIS as described is fantastic, and the concept of clues buried in 80's movies, music and pop culture is unique.I actually thought the beginning of the book was a bit depressing, so in that sense the author succeeded in evoking the dystopian tone he was no doubt looking for. Once the pace picks up and things start happening, it turns into a real page turner. Some personal highlights for me- getting to go inside the Tyrell building, from the movie Blade Runner, was a guilty pleasure of the first order. Love the way the author did it. If you have a favorite movie from the 80’s, you may find it makes an appearance here. Having the classic videogame Joust play a prominent role in the story, as well as references to arcade chain Aladdin’s Castle, made me smile. I do have some quibbles about the story. There are references to various programs and social media, such as Saturday Night Live and Youtube, that kind of took me out of the story. Does anyone think that SNL will still be on in 2044, or that Youtube will be just like today? Also Wade is something of an uber- hacker, but he’s only in high school. Sure there are good hackers that are young, I have no doubt, but some of the things Wade pulls off just strain credulity to the breaking point. I mean, really. The author lost me a couple times with that, but I just accepted it and moved on. Also, the last third of the novel just really stretched my suspension of disbelief to the breaking point. Wade makes a decision that risks his entire future, and bases it on a very risky gamble, and I just couldn’t buy it that anyone would risk all on such a flimsy hope. The other issue I have is the nature of the narrative. There is plenty of good dialogue, but this is a very expository book. There are just pages and pages of description, both of the state of the world and of Wade’s own narrative. After reading books recently with lots of dialogue and witty repartee, this was an adjustment that, frankly, took me a while to get used to. Having said that, this is still a fascinating read. The ending was good, and has a great message about what’s important in life. It was also nice to have no cliffhanger, no wait for a sequel- just a good solid ending. The most fun here are the 80’s pop culture/ geek references, and the sheer imaginative scale of it all. A very impressive first novel. Sunday Post #22/ It's Monday. What Are You Reading? Well the first full week of December is behind us and I feel like Christmas is approaching fast- like a freight train. Hope you're having a great start to the holiday season as well. Georgia Fenchurch is an antiquarian bookseller in The Vanishing Thief by Kate Parker. She is also, unbeknownst to most, a member of the Archivist Society, an organization that investigates disappearances and other delicate matters. Georgia has never married and is comfortable in her middle class life, and running the bookstore with her beautiful assistant Emma and working on Society cases takes up most of her time. Georgia is approached by a distraught young woman who wants the Society to find her neighbor, Nicholas Drake, who has been abducted. She suspects the Duke of Blackford has taken him for nefarious purposes. Georgia is reluctant to take the case at first but decides to pursue it. It is not long before she is asked to drop the case by no less than two members of the peerage. It turns out Drake is a thief and a blackmailer, and has been victimizing the upper crust, and there are several aristocrats who would prefer he not be found. One of those is the Duke of Blackford, who is a prime suspect in Drake’s disappearance. Georgia has a complicated relationship with Blackford from the beginning- she is torn between viewing him as a suspect and a grudging admiration for the man, which soon turns into attraction. For his part, he seems to both hinder the investigation and help Georgia from time to time, even coming to her aid when she is in danger. Georgia soon discovers that Blackford has his own reasons for wanting Drake found- but Blackford wants to do the finding! More suspects among the aristocracy come to light and Georgia and the Society have their hands full finding out who is lying to them- it appears Drake has no shortage of enemies. Secrets are revealed and there are a few surprises too. I liked Georgia a lot, she is a fun character, brave and determined. The fact that she is not of the aristocracy makes for a fun dynamic with Blackford and the other members of the gentry she comes in contact with. She is more a regular person, which I think makes it easy to relate to her. The supporting cast is good, from Georgia’s assistant Emma who comes from a dubious background to Lady Westover, an older woman who helps the Society gain access to the upper crust. I did at times have a little trouble keeping track of all the developments, I found myself having to flip back to reacquaint myself with a clue that had been laid down, but maybe that was just me. Also the ending seemed a little far- fetched to me, the reveal of who the villain is and the showdown seemed a little melodramatic. On the other hand, I really liked the scene where Georgia and Emma attend a masquerade ball in stunningly beautiful dresses –they are there to find a killer but are they the hunters or the hunted? They get separated and Georgia has to navigate the crowd, looking for a possible victim and a killer in a sea of costumes. I thought the author did a great job evoking the mood and sheer luxury of such an event- easily my favorite part of the book. Very well done. The Vanishing Thief is a fun cozy with interesting characters and a nice mystery. It is the first in the Victorian Bookshop series and I will definetly watch for the second installment. If you like cozies or mysteries set in the Victorian era, this is highly recommended. Thursday Quotables is a meme hosted by Lisa at Bookshelf Fantasies. This weekly feature is the place to highlight a great quote, line, or passage discovered during your reading each week. Whether it's something funny, startling, gut-wrenching, or just really beautifully written, Thursday Quotables is where my favorite lines of the week will be, and you're invited to join in. "Ser Broderick's note says we need to turn you into a society miss. Not an easy task when everyone knows everyone else's family tree back five generations. I'm afraid you'll have to have a questionable pedigree. Would you prefer slightly wanton or deliciously decadent?" Here Georgia Fenchurch, an antiquarian bookseller, is investigating an abduction of a thief and blackmailer who has been victimizing high society. There are of course multiple suspects and Georgia and her friend Emma are preparing to invade drawing rooms and society functions to learn the truth... oh, and stay alive too. I like this book, it's a cozy I suppose that just came out and I bought it off the shelf. I liked the cover and after paging through it I thought it sounded good. I like this time period, Victorian era, and it's the first of a series. Started out a bit slow but it's rolling now and is a lot of fun. Georgia Fenchurch appears to be an unassuming antiquarian bookseller in Victorian London, but the life she leads is as exciting as any adventure novel. For Georgia is a member of the Archivist Society, a secret association of private investigators led by the mysterious Sir Broderick. When a frantic woman comes to Georgia claiming that her neighbor, Nicholas Drake, has been abducted by the notorious Duke of Blackford, Georgia and the Archivist Society agree to take the case. But Drake is no innocent—he is a thief who has been blackmailing many of the leading members of London society. To find Drake and discover who is behind his abduction, Georgia and her beautiful assistant, Emma, will have to leave the cozy confines of their bookshop and infiltrate the inner circles of the upper crust—with the help of the dashing but dubious Duke of Blackford himself. If you want to join in the fun, link up over at Bookshelf Fantasies and share your quotable. 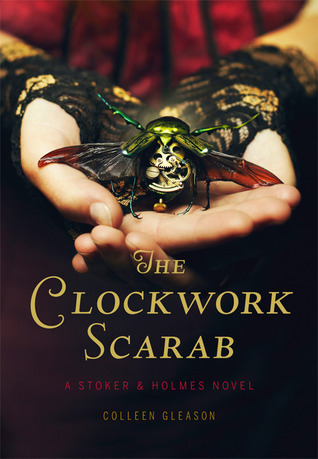 Congratulations to Ashlie Dawkins for winning the giveaway for a copy of The Clockwork Scarab. A copy of the book is on it's way to you, Ashlie! Hope you enjoy! !